Nice. Looks like a start point for a rebuild, if they can find a Mk3 hull somewhere. At the risk of stating the bleeding obvious, being a stencil it looks as if it was used on a lot of vehicles. If it was a low level tactical mark, or even an individual vehicle marking you would assume they would have painted it on rather than setting up a compressor and doing it with a stencil. OTOH, its Germans. They always took pride in their work. As its on all sides, I idly wonder if its a marking they put on during recovery purposes? Ie, this one to be abandoned, this to be recovered. Though I cant say ive seem any photographs of them doing it with anything else. Interesting, do let us know if you find anything out. Looks simmilar to 210 Sturmgeschutz Abtailung (it was C as circle around h) - and it was fighting nearby, ~10km away. Stuart, stencils did not mean always a sprayer was required. Thats true. But it does imply more than one vehicle was being done in a hurry. 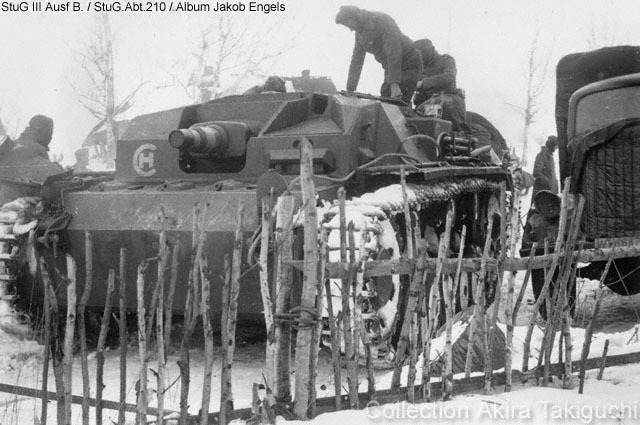 This - allegedly StuG.Abt. 210 - "CH" looks rather different? 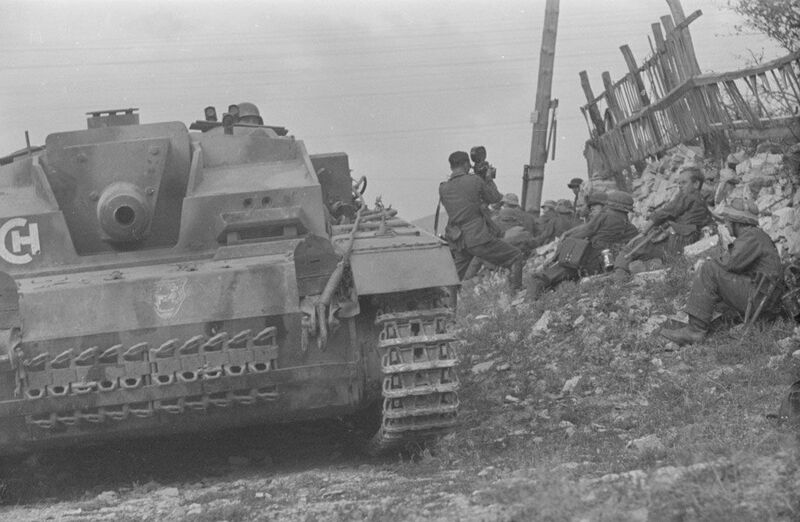 The germans did some times mark their vehicles with a letter indicating who the commanding officer of the unit was, did they not? Like K for von Kleist and G for Guderian. Any german general whose name began with Ch? Edited by wendist, 29 April 2017 - 0606 AM. Any german general whose name began with Ch? Helmut von der Chevallerie commanded the 13th Panzer Division from 1 November 1942 – 1 December 1942. Good find that man! And is that a Tiger head painted on the nose as well? Not seen that version before. You kind of wonder how many of these unit designators have not been written down. Edited by Stuart Galbraith, 30 April 2017 - 0232 AM. I think the Tiger head was another StuG Abt. 210 sign. First commander of the battalion was called Schlawe followed by Herbert Sichelschmidt, neither seems to have any connection with "CH". "CH" is also used to denote Switzerland - abbreviation for "Confoederatio Helvetica"
Edited by Roman Alymov, 01 May 2017 - 1543 PM. Edited by Roman Alymov, 01 May 2017 - 1547 PM.